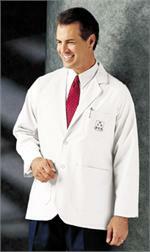 Landau is known for their quality scrubs and medical uniforms. 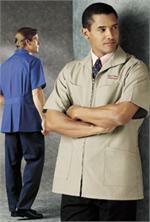 They have been a staple in the healthcare uniform market for nearly 50 years. GarffShirts is pleased to carry Landau lab coats for medical professionals, whether you are shopping for yourself or a friend. 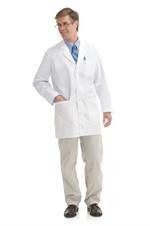 Lab coats for men are available in a variety of lengths and colors to suit each gentleman they are intended for. For your convenience, a Landau General Size Chart is available to find the perfect fit. There is a wide range of lab jackets to choose from. 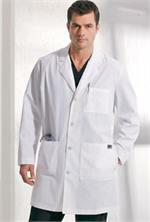 You’ve already made the wise choice to purchase Landau lab coats, so now it will come down to choosing the style. 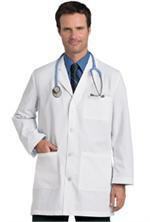 We carry plain white lab jackets, as well as other colors like navy, royal blue, teal, tan or wine. Monogramming is also available on either the left or right chest, in just about any color thread that you could think of. Monograms can be added in up to four lines of text, with a maximum of 27 characters per line. 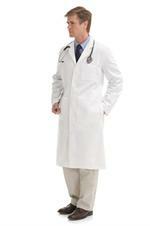 Shop the selection of Landau lab coats for men at GarffShirts.com today and save. Contact us for more information regarding personalization and be sure to view the Landau General Size Chart. 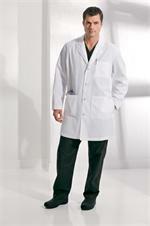 Landau Men's Knee Length Lab/Consultation Coats/Jackets. Monogramming Available. 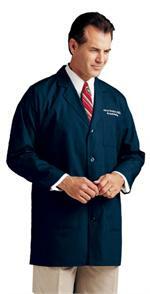 Landau Men's Thigh Length Lab/Consultation Coats/Jackets. Monogramming Available.